Maputo — A vaccination campaign against cholera began on Wednesday in the cyclone devastated central Mozambican city of Beira. Judging by the long queues shown on Mozambican television channels at the vaccination posts, the mobilisation for the campaign has been successful. The vaccination campaign is costed at 2.5 million US dollars, and is being financed by the Vaccine Alliance, GAVI, which is a private-public global health partnership, committed to increasing access to immunisation in poor countries. The vaccine is administered orally in a single dose to people over the age of one year. 900,000 doses of the vaccine arrived in Beira earlier in the week, and the health authorities expect to vaccinate over 884,000 people. Most of these will be in Beira, but as from Thursday the campaign will also cover the other two districts in Sofala province where cholera has been diagnosed, Dondo and Nhamatanda. Although no cases of the disease have yet been reported from Buzi, this district too will be covered by the campaign. Speaking at the start of the week long campaign, the deputy national director of public health, Benigna Matsinhe, said the oral vaccine is an effective way of preventing the spread of cholera, which is a disease that can prove fatal if the patient is not treated immediately. She stressed that prevention is better than cure. Matsinhe said that on average it takes six packets of serum to rehydrate a patient at a cholera treatment centre - which is much more expensive than a single drop of vaccine. But, on its own, the vaccination is not enough. In a Wednesday press release, Djamila Cabral, the representative in Mozambique of the World Health Organisation (WHO), said firm action is also necessary to increase access to safe drinking water and to improve sanitation. "It is also necessary that everybody respects the measures of individual and collective hygiene that the Ministry of Health is transmitting", added Cabral. Between Tuesday and Wednesday, 396 cases of cholera were diagnosed, most of whom were treated speedily and sent home. 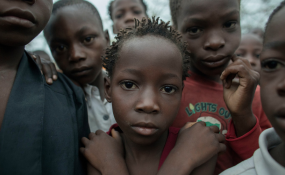 The number of deaths from the cholera outbreak remains two - one in Beira and one in Dondo. There are now eight cholera treatments centres in Beira, three in Nhamatanda, two in Dondo and one in Buzi.